The E92 BMW M3 keeps on giving. One of the most popular M3s ever built, and by many accounts, one of the best as well, the E92 M3 has been for years the perfect test bed for tuning shops around the world. Its amazing – and award winning – naturally aspirated engine has been often tuned to power levels that once seem unattainable. 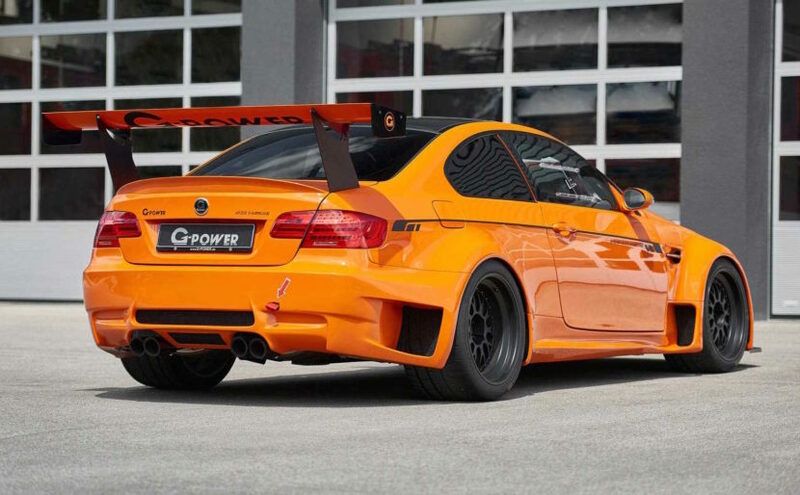 German tuning house G-Power is no stranger of such engineering feasts. But today, they’re launching a new project – dubbed E92 M3 GT2 S Hurricane – which comes packed with enhancements in every area. The naturally aspirated 4.0-liter V8 has been completely rebuilt and uses a longer-stroke crankshaft to take displacement out to 4.5 liter. New forget pistons and con-rods were also included to help compress the forced induction. The centrifugal-type supercharger is running 11.6psi, resulting in a total power output of 709 horsepower and 479 pound-feet (650 Nm) of torque. All the impressive power is sent through a six-speed manual and into a custom limited-slip differential that comes with its own oil cooler. G-Power says the super duper E92 M3 can run from 0-200km/h in just 9.8 seconds, while offering a top speed of 330km/h. 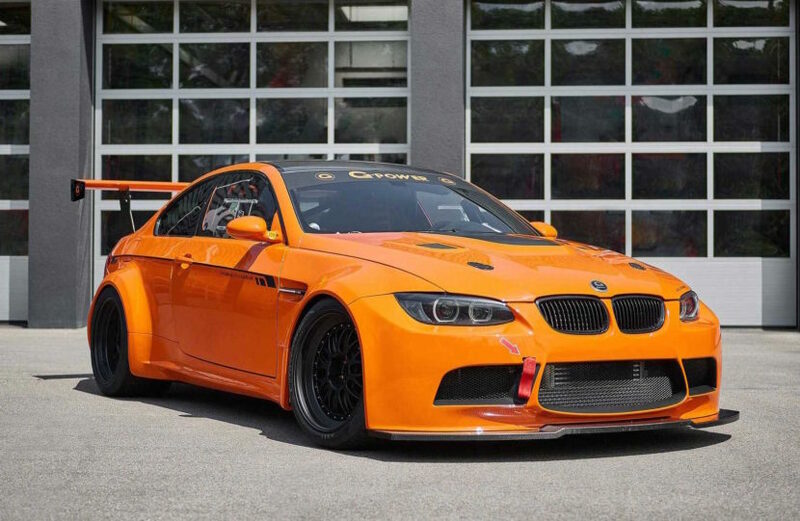 Just like the special M3 GTS models, this one features the same Fire Orange paint job, paired with a massive carbon fiber rear wing, wider hips and an aggressive front splitter. To illustrate its performance, G-Power released the video below.